After his successful movies in Djano Unchained, Kill Bill, and Inglorious Bastards Quentin Tarantino returns again with The Hateful Eight a western mystery film starring Samuel L. Jackon, Kurt Russell and Jennifer Jason High. John Ruth (Kurt Russell) a bounty hunter, is forced to settle in a cabin room with his prisoner Daisy Domergue, that he was taking to Red Rock town to hang her, when a snow storm hits there way. The movie consists of six chapters where the first 2 are slow but then you won't notice the time as you will be curious to know the truth. Tarantino shows again his love for dialogues in this movie that lacks a bit of action knowing that it's a Western movie. But blood scenes and fighting will occur from time to time. Tarantino confirmed his reputation as a genius storyteller. The movie is full of twists and though they don't change the setting a lot the beautiful acting makes you forget about the 3 hours. 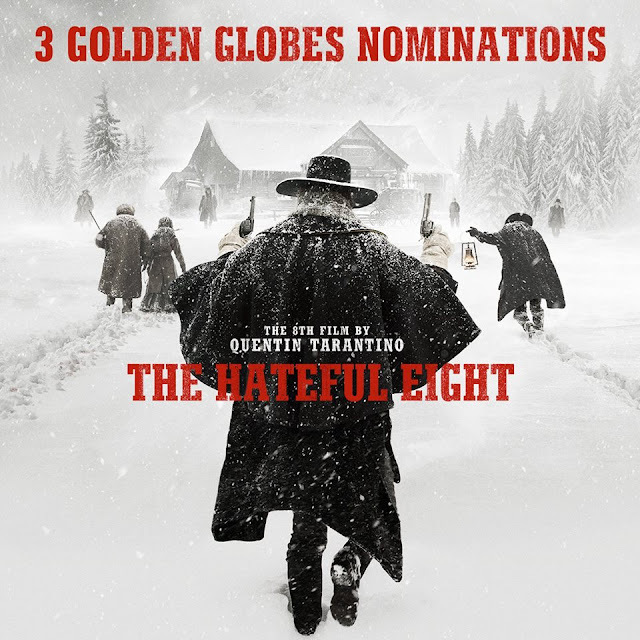 Click losmovies and Watch out for Tarantino's seething subtext in watch the hateful eight online free — it'll nag at your conscience and no way will it let go.